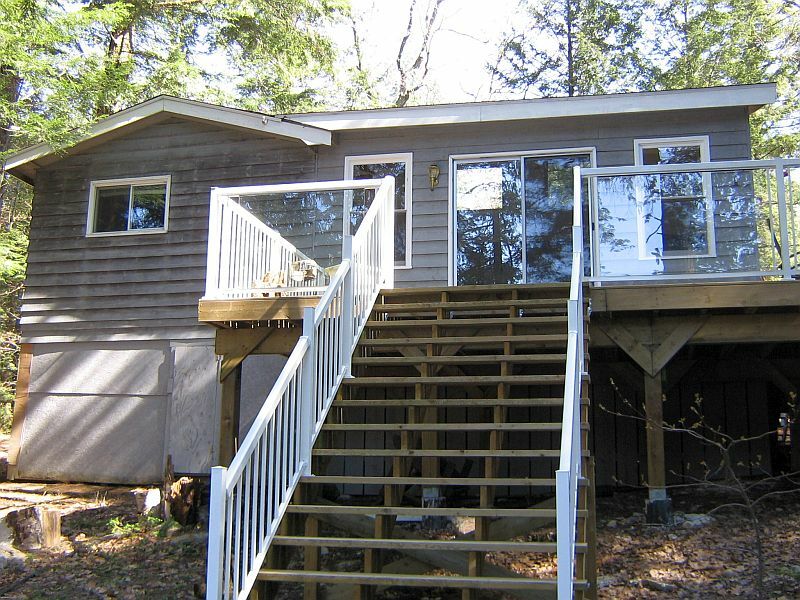 Located in a quiet bay in the heart of Muskoka sits Cozy Bay cottage. 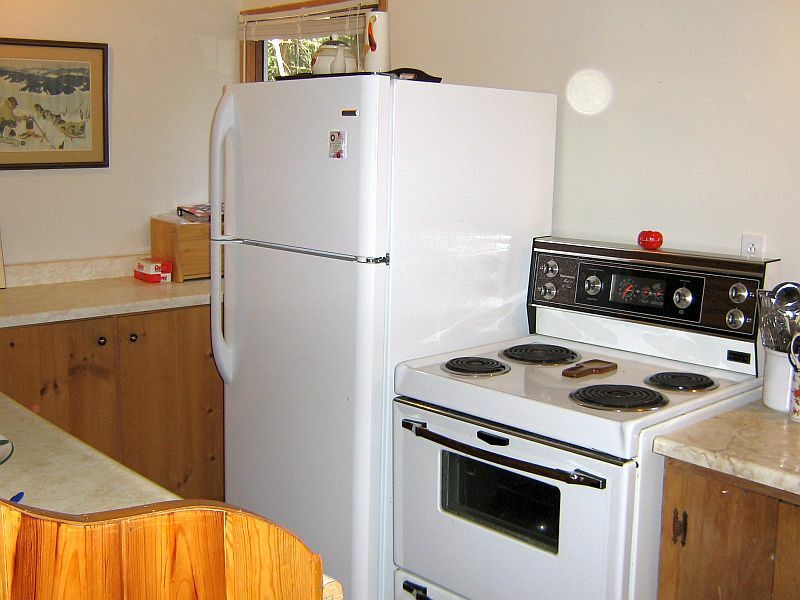 This open concept cottage has a wall of glass windows and doors at the front of the cottage allowing the outside in. 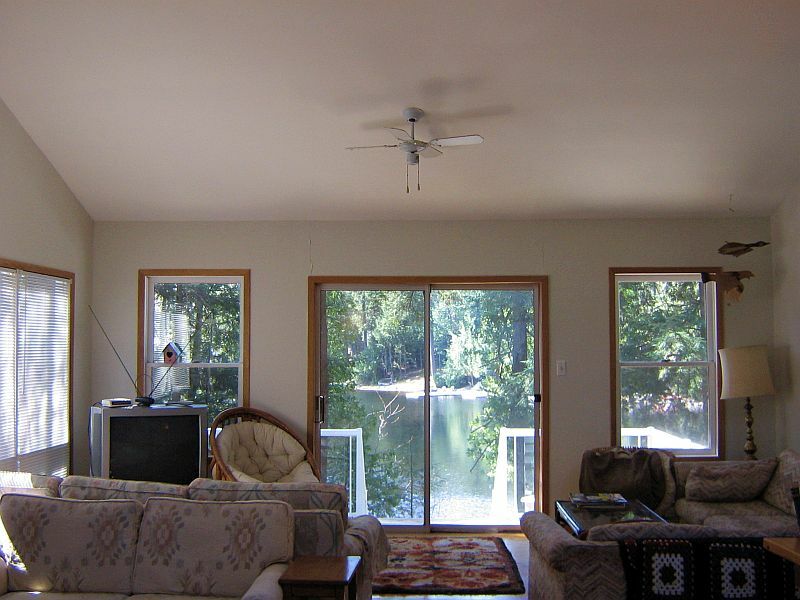 The living room is located at the front of the cottage and has a great view of the lake. 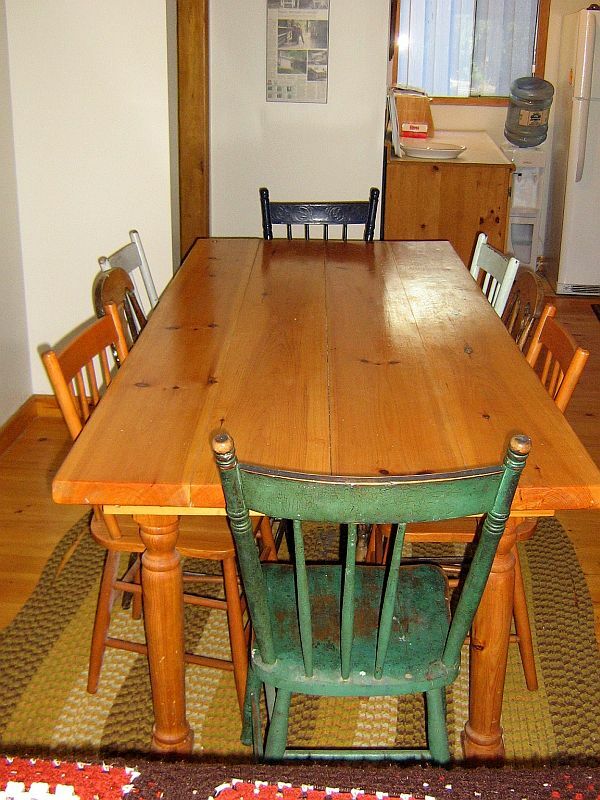 Adjoining the living room are the dining room and kitchen. With so much open space, everyone will feel like they are part of the action. 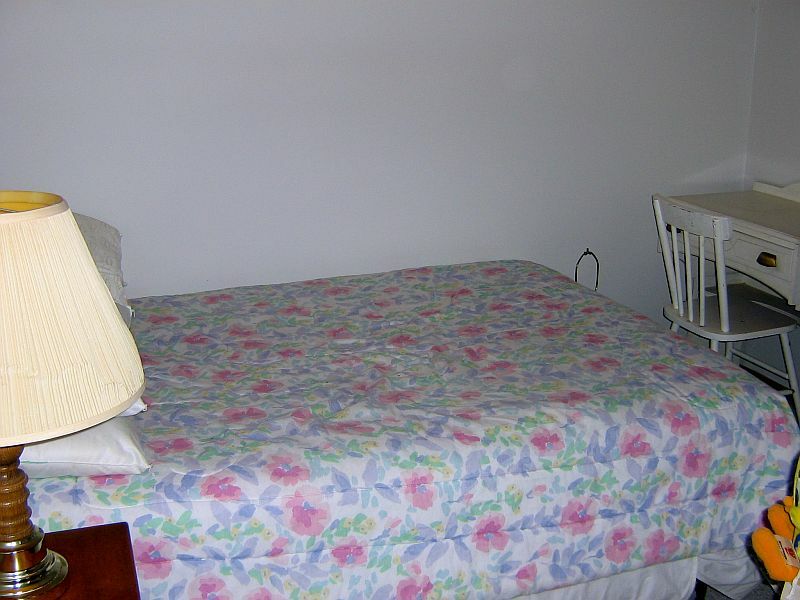 Three bedrooms are located just down a short hall. 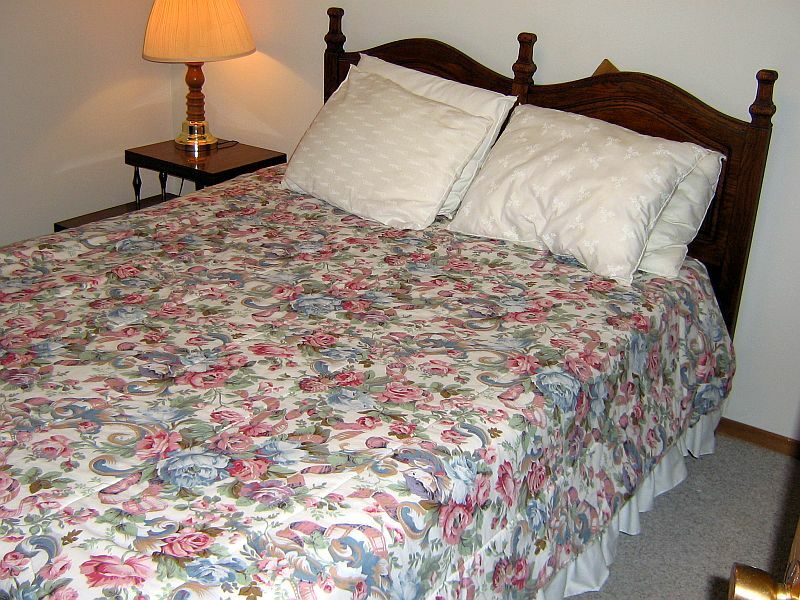 Two of the bedrooms offer double beds, while the third has a queen size bed. 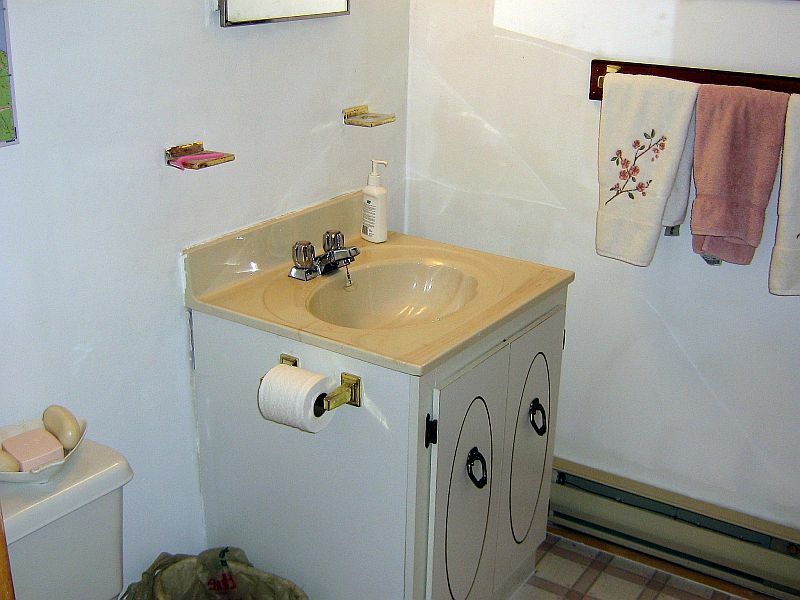 The four-piece bathroom is located close by. 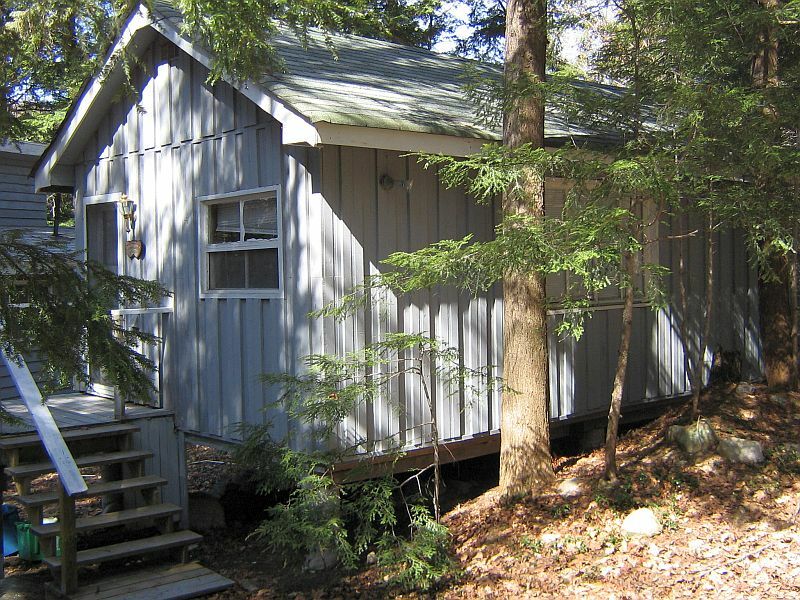 The bunkie located next to the cottage has a bedroom with a queen bed, a three-piece bathroom, small kitchen and a living room. This is great for grandparents, or the teenagers in the group who like to be part of the family, but enjoy some quiet time too. 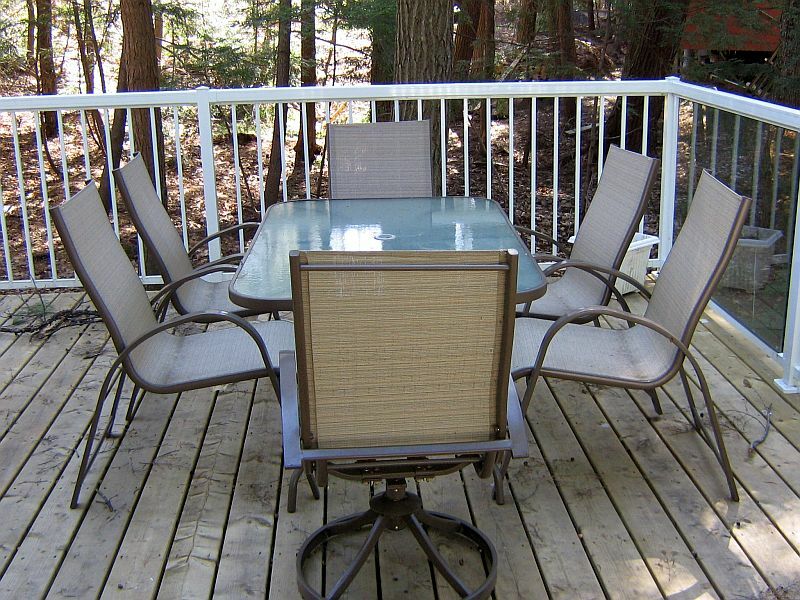 A large wrap-around deck offers shade for most of the afternoon on those hot summer days. This is a great spot to read a book, build a puzzle or just waste away the afternoon. It is also a great spot for dining al-fresco, while enjoying the view of the lake. 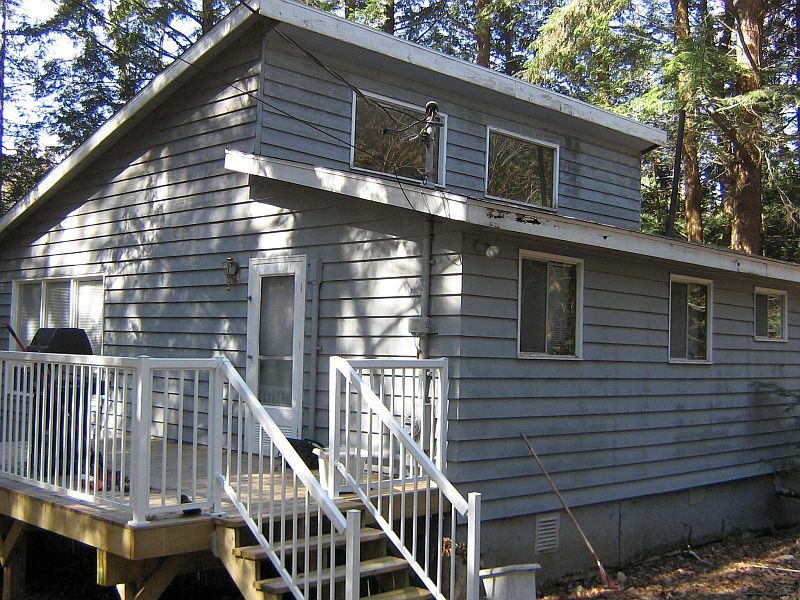 This cottage has a fairly level lot that is wonderful for the little ones in the family. 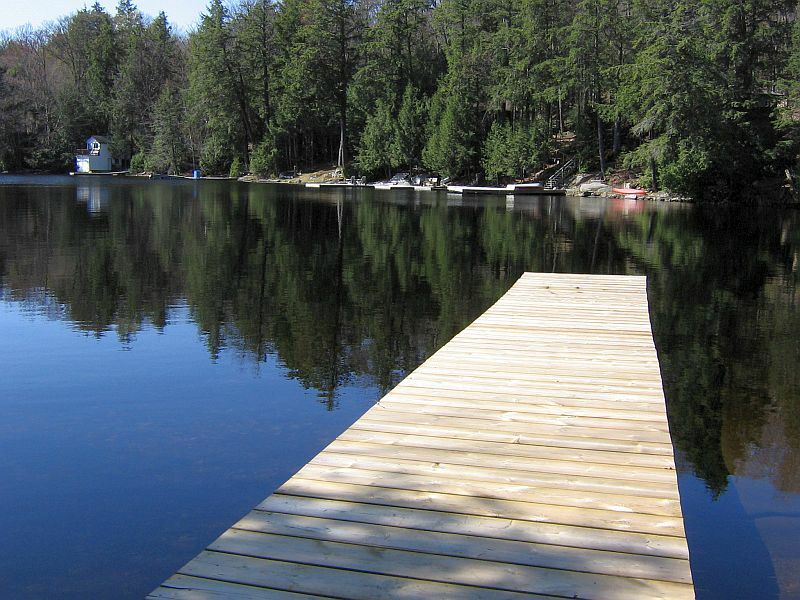 Once at the waterfront you have the choice of swimming off the dock, or walking in the shallow entry with a sandy bottom. For those feeling adventurous, take the paddleboat over to the Bass Lake restaurant for an afternoon ice cream. 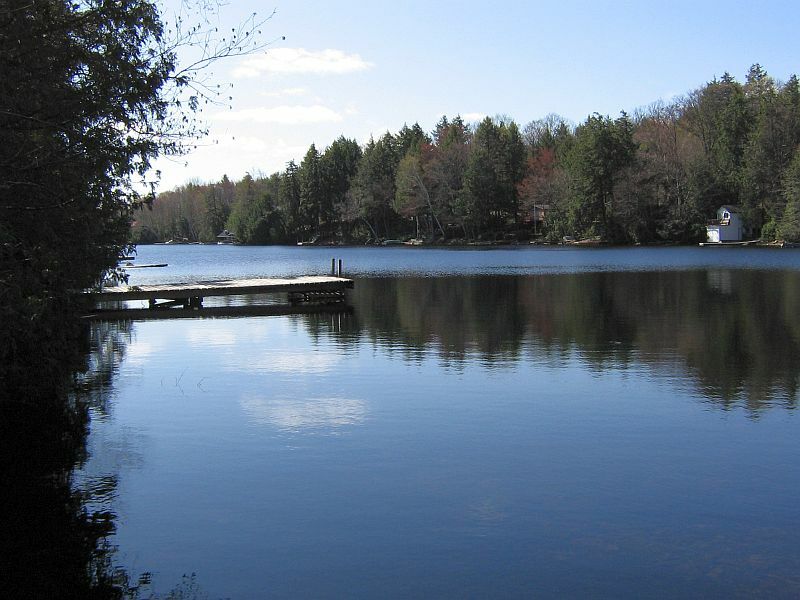 A boat launch located not too far from the cottage allows you to bring your own boat for exploring the lake, or going out waterskiing. If you enjoy boating on the larger lakes, you can access Lake Joseph very easily from the boat launch located on Hwy 169, not far from the cottage. The town of Bala is a short distance away and offers interesting shops, the Bala Falls, the Key to Bala (a famous night spot), Don’s Bakery and several eating places. For the sports enthusiasts, there are area golf courses, fishing and waterskiing. Come and get Cozy in the Bay! $1,200 per week during off-season.